UPDATED | Turner Broadcasting is to make a return to digital terrestrial TV this summer with the launch of a new free-to-view channel. Broadcast reports that the broadcaster will launch its entertainment channel TruTV in the UK on an as yet undisclosed slot on Freeview. Other reports suggest that the launch will take place in August. The channel will also be available on YouView and Freesat. Carriage on Sky and Virgin is also expected. 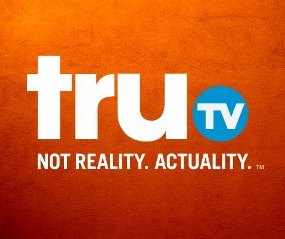 TruTV, formerly Court TV, originates in the USA, where the channel is available in 93 million homes. Turner UK general manager Anthony Lukom has said that the launch will expand the broadcaster’s reach to 26 million UK homes. It's not the first time Turner has had a presence on the UK's digital terrestrial television system, nor the first free-to-air channel for the broadcaster in the UK, which originally offered TCM for free via satellite until January 2004. On terrestrial TV, plans to launch services on Freeview in 2002 failed to materialise. Turner launched movie channel TCM in 2004 via the now defunct terrestrial pay TV provider Top Up TV. The slot was subsequently used for the shortlived free-to-view Nuts TV channel and then CNN until its carriage contract expired in November 2010. CNN and Turner's children's channels including Cartoon Network are carried via internet streaming pay TV service VuTV on channel 238. I do wonder whether Freeview has now got to a point where adding channels such as this actually takes value rather than adds value to the platform. Looking on Wikipedia, it doesn't look appealing (assuming its the same as the US version).